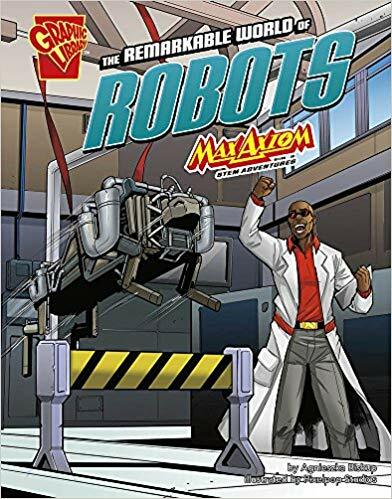 Super Scientist Max Axiom explores the technology behind the use of robots in our world. 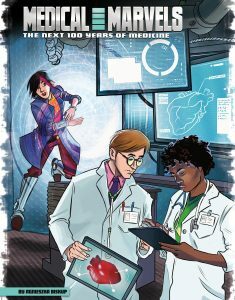 Science and engineering content central to the STEM Initiative is addressed in this full-color graphic novel. Published by Capstone Press. 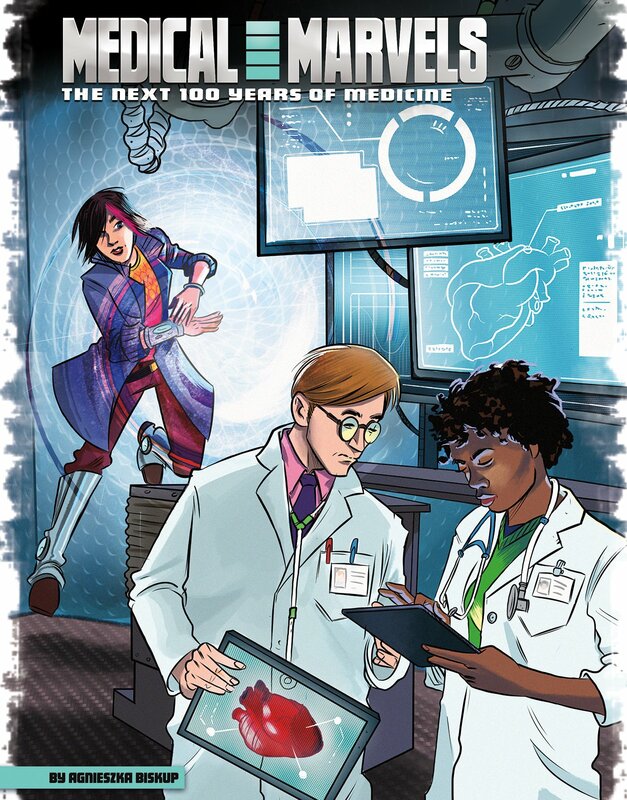 Futurologist Luna Lee presents possibilities for the future of medicine in the next 100 years. The book explores how medicine has changed in the past century and what medical advances can be expected in the not-so-distant future. Published by Capstone Press. 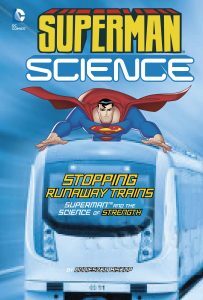 The second of two “Superman Science” books discusses the science of strength through an exploration of Superman’s super-strength. 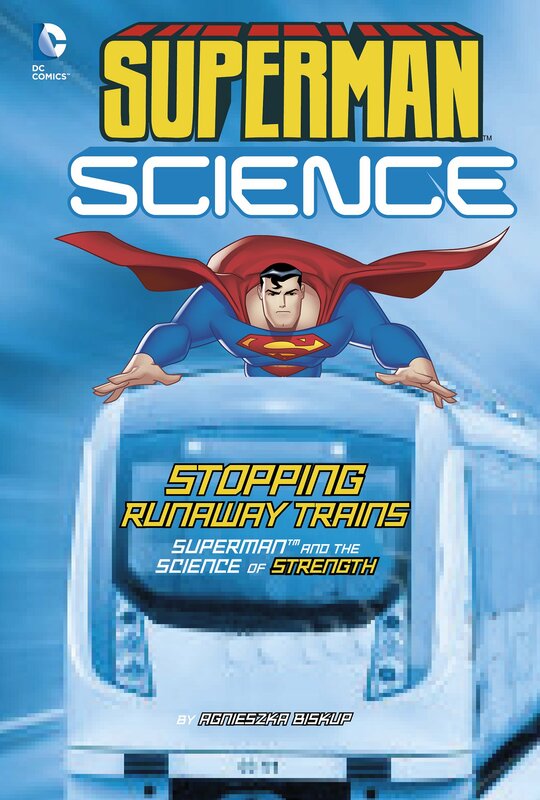 It cover topics such as how muscles and bones work, amazing examples of strength in the animal kingdom, and how some modern technologies can give ordinary humans powers of strength almost as great as Superman’s. Published by Capstone Press. 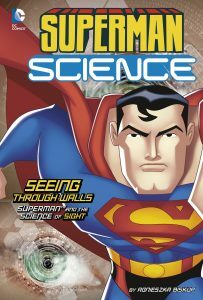 The first of two “Superman Science” books discusses the science of sight through an exploration of Superman’s super-sight. 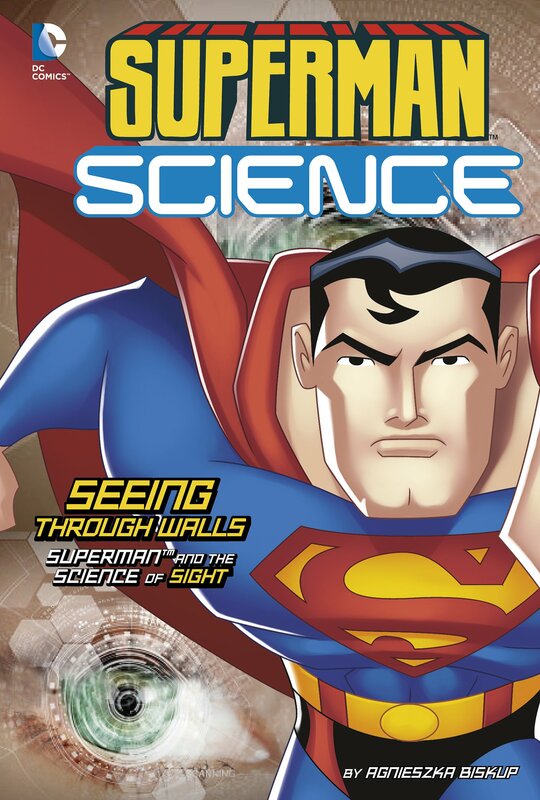 It cover topics such as what makes sight possible and the current and future technologies that allow us do mimic some of Superman’s amazing visual abilities. Published by Capstone Press. Michael MacRae of the American Society of Mechanical Engineers (ASME) interviewed me for an interesting article on the history of Batman’s tools and technologies, citing my book Batman Science: The Real-World Science Behind Batman’s Gear. I just won the 2015 AIP children’s writing award! The American Institute of Physics (AIP) has just named me one of the three winners for this year’s AIP Science Writing Awards in the Writing for Children category! It’s for the Batman Science series, for which I wrote two of the four books. They tell me that in addition to the cash prize, I also get a chair — literally a chair — with my name on it. Exciting! Here’s a copy of the press release. Posted in books, children's	| Comments Off on I just won the 2015 AIP children’s writing award! 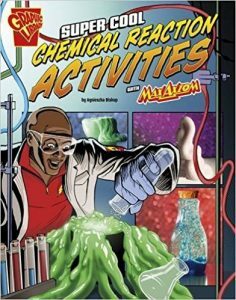 Another Max Axiom hands-on science experiments book includes activities on bouncing eggs, monster toothpaste, and color-changing liquids. These kid-friendly chemical reaction experiments and activities also have clear step-by-step, photo-illustrated instructions and teach core-curriculum science concepts. Published by Capstone Press. 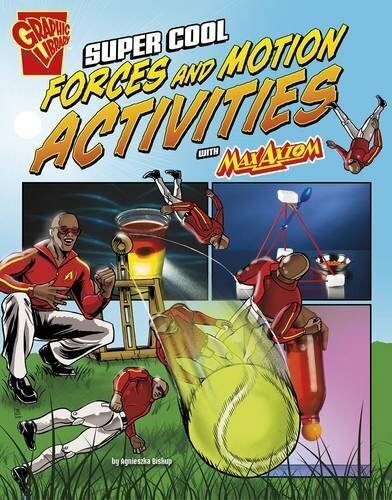 Super Scientist Max Axiom provides hands-on science experiments including catapults, balloon cars and soda rockets. 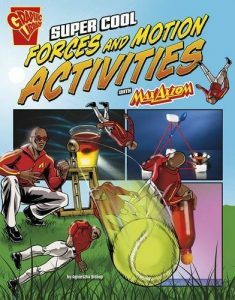 These kid-friendly forces-and-motion experiments and activities have clear step-by-step, photo-illustrated instructions and teach children core-curriculum science concepts. Published by Capstone Press. 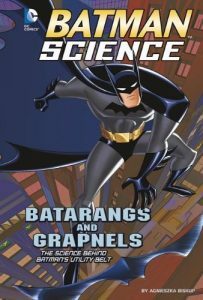 A compilation of all the “Batman Science” books, this volume explores the surprising ways the Caped Crusader’s gear and gadgets actually connect to reality. Published by Capstone Press. Winner of numerous awards, including the American Institute of Physics: 2015 AIP Science Writing Award, Writing for Children; the California Reading Association: 2014 Eureka! Honor Award; the National Science Teachers Association (NSTA) and the Children’s Book Council: 2015 Outstanding Science Trade Book for Students K-12; Young Adult Library Services Association, ALA: 2015 Quick Picks for reluctant Young Adult Readers. 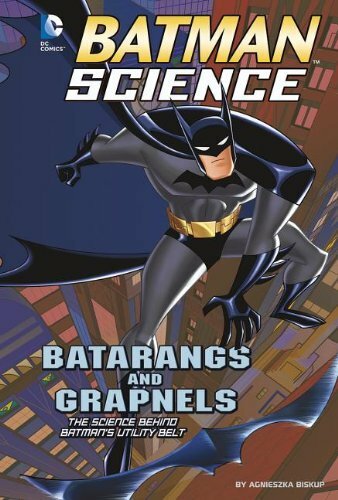 The second of the two “Batman Science” books. 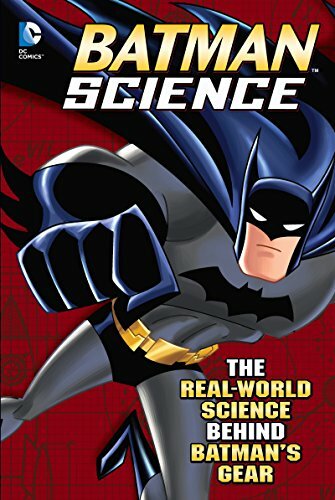 This volume takes a look inside to explore how the amazing gadgets on Batman’s Utility Belt are actually rooted in real world science and engineering. Published by Capstone Press.